“YOU can take a sailor away from the sea but you can’t take the sea away from a sailor,” runs an old adage, long known among seafaring men. 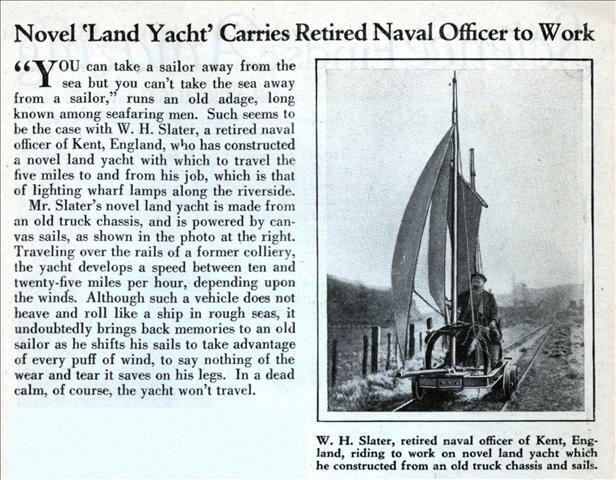 Such seems to be the case with W. H. Slater, a retired naval officer of Kent, England, who has constructed a novel land yacht with which to travel the five miles to and from his job, which is that of lighting wharf lamps along the riverside. Mr. Slater’s novel land yacht is made from an old truck chassis, and is powered by canvas sails, as shown in the photo at the right. Traveling over the rails of a former colliery, the yacht develops a speed between ten and twenty-five miles per hour, depending upon the winds. Although such a vehicle does not heave and roll like a ship in rough seas, it undoubtedly brings back memories to an old sailor as he shifts his sails to take advantage of every puff of wind, to say nothing of the wear and tear it saves on his legs. In a dead calm, of course, the yacht won’t travel. 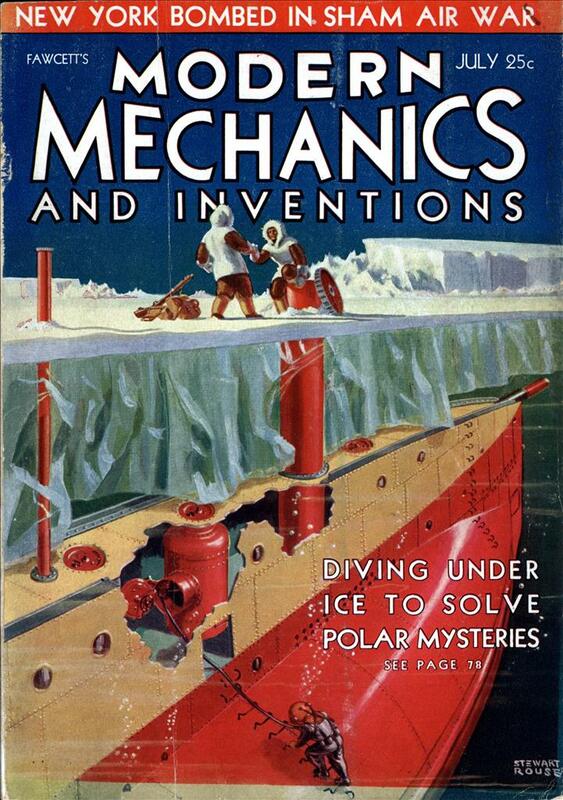 As seen in the classic movie “Around the World in 80 Days” with David Niven. When there’s very little wind, does he push the vehicle along the rails? That must weigh close to a ton! that actually looks fun. I’ve always had a fascination with rails and trains.